Vegan-friendly Easter chocolates have been crowned the tastiest in the UK, beating conventional products from supermarkets and specialist rivals. A vegan-friendly Easter treat made by an artisan chocolate company based in Norfolk, Booja Booja, has been crowned the tastiest in the UK, beating conventional products from supermarkets and specialist rivals. 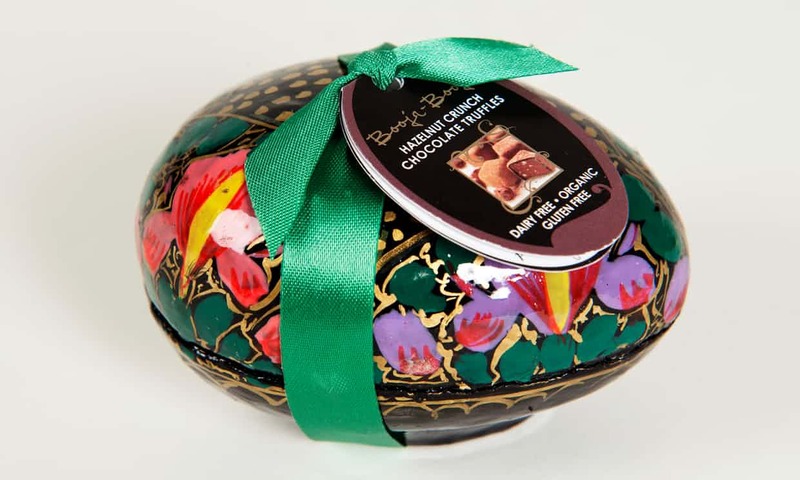 Booja-Booja’s hazelnut crunch chocolate truffles – encased in a hand-painted egg-shaped box – nabbed the overall top score in a “blind” taste test of 142 Easter eggs and chocolates carried out by the Good Housekeeping Institute. The gluten-, dairy- and soya-free truffles – which are made of organic chocolate and suitable for vegans, like all the company’s products – cost £24.95 and achieved a whopping 89/100, thanks to their “smooth truffle filling”. The shortlisted eggs in each of eight separate categories were blind-tasted by a judging panel and then scored for taste, texture, aroma and appearance. Full results of the taste test will appear in April’s issue of Good Housekeeping (available February 28).